We're Disbennett Wealth Management Group. If you haven't heard of us, it's understandable. We've always been more interested in our clients hearing from us rather than about us, however, now is the perfect time to introduce ourselves. We are a focused partner and guide because we understand that personal investing is just that - personal. Everyone's financial situation is as unique as they are. So we ask questions first, we listen, we relate, we guide. In the end, our success comes from understanding- the kind of understanding that leads to long-lasting relationships. Yet, with the uncertainty and mistrust that exists in the financial world today, we also want to tell you what we're not. We are not a financial firm that's flashy or pretentious. We are not so big that we lose our ability to build and nurture relationships with our clients. We are not faceless to our clients, and they are not, nor will they ever be just a number to us. So, I guess you could say we are down-to-earth, which makes sense because that's exactly where our clients are. Our clients, their hopes and dreams, their current state and their ideal future are where our focus lies each and every day. This focus keeps three things perfectly clear: our client's goals, our client's plan and our conscience. When we work with a client, we're in it together. We have four simple beliefs that serve as the foundation of our focus. We call them the "Core Four." Since the inception of our company, these beliefs have served as a guideline for our growth and will always be the means to our success. 1. Our clients goals come first: When we help ensure our client's success, we ensure our own. 2. We prevail together: No one achieves greatness alone, which is why we work as a team to help our clients thrive. 3. Our integrity is not for sale: Doing well must never replace doing right. This is more important today than ever before. 4. Listening creates possibilities: Listening carefully to understand what our clients really want is the only way we can help them find success. Along with the "Core Four" we also implement a "Total Asset Approach". Each asset area is important individually, but managing them collectively is one of the most important factors in your overall financial success. Our approach to investing can not only help you plan for retirement, but could also reduce your exposure to taxes, meet your insurance needs, and provide a plan to help successfully transfer your assets to your children and grandchildren. Whether your financial endeavors are relatively simple or extremely complex, Disbennett Wealth Management Group can develop a strategy that is best suited for you. Chad is the creator of the WealthWithClarity™ process- a transformative 5 step process to help people avoid the pitfalls and hidden obstacles when it comes to retirement planning. His process is repeatable, predictable and sustainable and its goal is to help people reduce income taxes, ensure that their investments last throughout retirement and provide the retirement dream that people envisioned. He also co-authored a book "Retire Abundantly" which discusses The 4 Pillars of Retirement as well as actual stories of people who did it right and who didn't. When Chad was recruited into the financial service world, he was thoroughly disappointed to learn that the several in the industry were training advisors to take financial products and jam them into people's situations. It was like taking square pegs and pounding them into round holes. People needed custom solutions, but several in the industry were applying assembly line solutions and everybody was getting the same thing! The media continues to sell the DIY (Do It Yourself) in financial or investment planning and that is how Chad has seen DIY scenarios turn into bad results. Chad is a nationally-recognized Financial Educator, Author, Speaker and Retirement Planner. His professional insights have appeared in various publications, including Wall Street Select, MarketWatch, Yahoo Finance, Columbus Business First and Business Courier. He was interviewed by James Malinchak, featured on ABC TV’s hit series, Secret Millionaire. 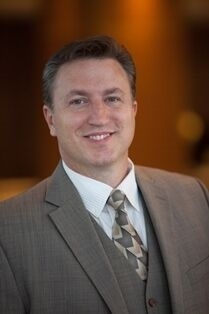 As the founder and CEO of Disbennett Wealth Management Group, Chad and his team have been helping business owners, executives, health care professionals and women on their own learn how to preserve, protect and pass on their wealth. Two of the most important things in today's financial world is having an understanding of which investment vehicles are more appropriate for each situation, and having a relationship with a trusted investment professional who has a clear understanding of your objectives, needs and goals. At Disbennett Wealth Management Group, we are committed to putting quality service & objective advice first. 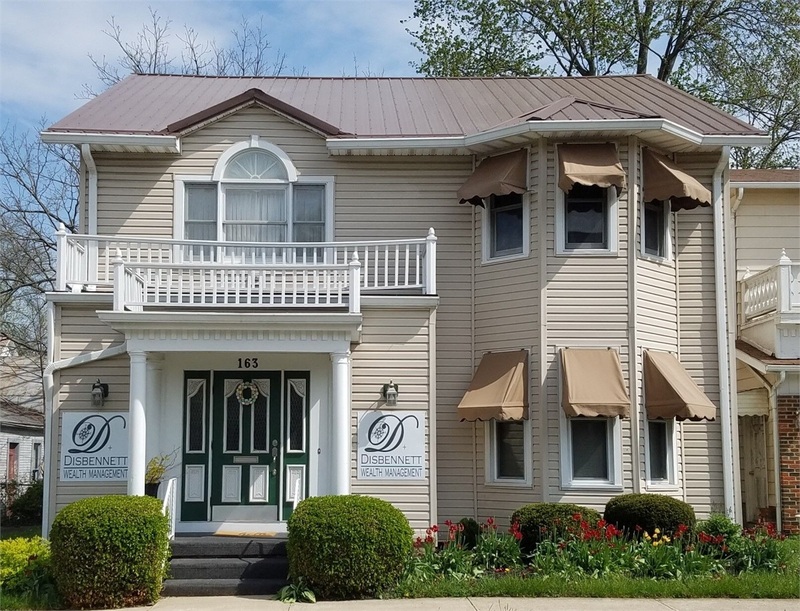 Our office is located near downtown Lancaster, just off the corner of East Fifth Avenue and High Street at 163 E. Fifth Ave. Parking is available directly in front of the office. We look forward to seeing you.